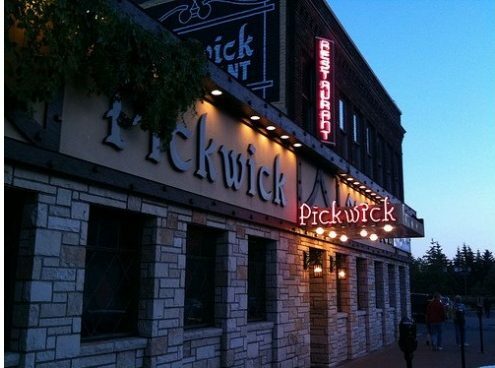 Pickwick Restaurant and Pub (Duluth) Discounted Gift Card – $35 for $50! My husband once told me that this was the best meal (specifically steak) he’s ever had! You will receive an actual gift card send to you via USPS Priority Mail, so no worries about having to use it by a certain time. The Pickwick Restaurant & Pub is a historic restaurant located in Duluth, MN. An area landmark since 1914, the restaurant and full bar serves a variety of pub food and is known for its homemade soup and award-winning, chargrilled steaks. The Pickwick has earned a reputation as purveyor of excellent food in the Canal Park area, along the shore of Lake Superior, winning a James Beard Foundation Award in 2007. Get your Pickwick gift card HERE.